Everything from puffa jackets to beer steins. After unveiling the collection with the latest Juergen Teller-shot lookbook last week, London’s Palace has now revealed every piece from its Winter 2018 release. The new capsule includes encompasses outerwear — including puffa jackets and fleeces — as well as denim pieces, tie-dye sweats and a football-inspired “Campione” jersey. Elsewhere, the Winter 2018 collection sees Palace return with more of its signature graphic T-shirts. New graphics for this season include a Triferg games console, a golf club image and the “Tri-Wobble” logo. In terms of accessories, this collection features hats, bags, boxer shorts, sunglasses, jewelry and even a Palace-branded Stein glass. 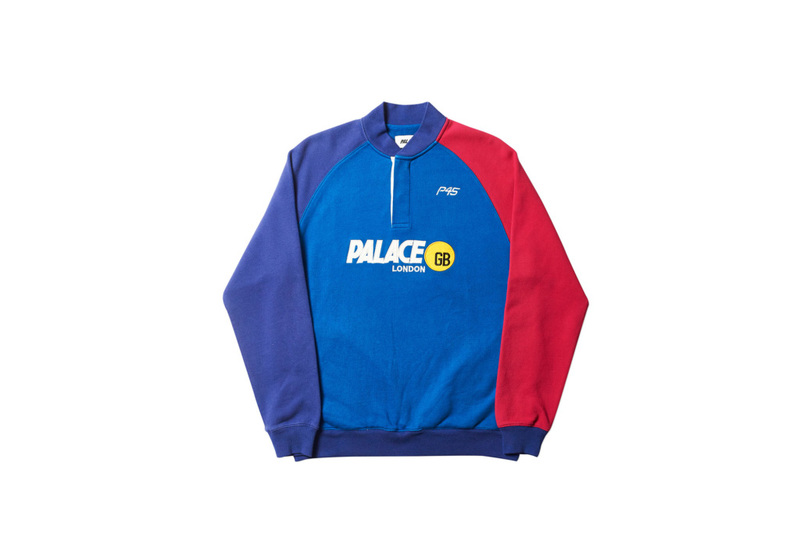 The collection will begin dropping at Palace’s web store and physical locations on October 5, before releasing in Japan on October 6. In related news, take a look at The North Face’s new retro Nuptse drop. Nike's Air Max 1 Surfaces in "Golden Moss/Blue Force"
Featuring suede panels and gum soles. Created by Buerger Katsota Architects. Filming has begun in the Czech Republic. Focused around ‘The Whitechapel Pool’ installation.